EYEGOODIES EXCLUSIVE: The special edition SUPER ILARIA sunglasses are now in stock. Available in the US exclusively at Eyegoodies.com. Supplies Limited. 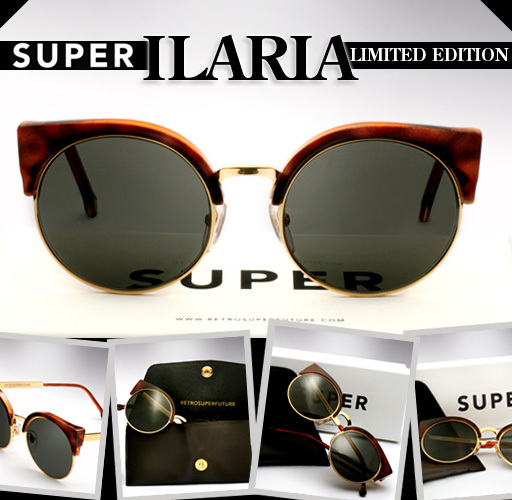 Part of Super’s special projects, meant to signify their top range models which are produced in extra limited quantity, Super releases the Ilaria. The Ilaria transforms the Lucia model with the use of classic havana acetate and gold metal. The havana elegantly dresses the front of the frame and the temple tips while the gold metal gives it a rich contrast. Especially unique to the Ilaria is the gold metal which also outlines the lenses, really highlighting their round shape, as well as providing greater structural integrity. Limited to 170 pieces total produced, the Ilaria features Super’s signature white box which has always distinguished their special projects, as well as a unique supple all leather carrying case. 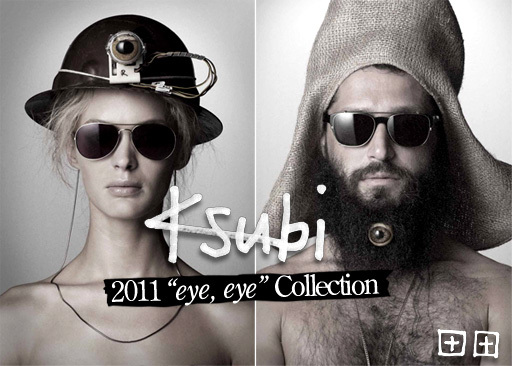 Ksubi 2011 eyewear “eye, eye” collection is now in stock. The Ksubi 2011 “all seeing” eyewear range, appropriately titled “eye, eye”, gives us a variety of raw yet surprisingly refined and complex pieces. The collection, made up of eleven sunglasses and seven optical models, modernizes post war shapes effortlessly. Some unique elements from the range include metal mesh, welded clip-on’s, eyeglass chains, unique acetates, as well finishes such as antique gold or silver. The “eye, eye” look book featured below perfectly captures the essence of the line; part “end of days raw”, sophisticated, fashion forward, and very wearable.